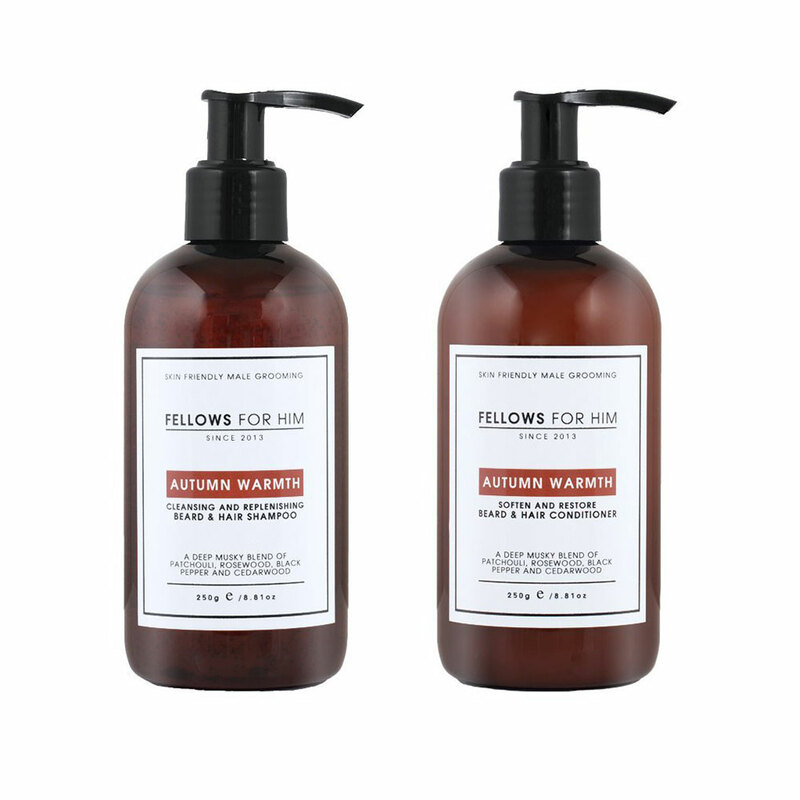 Autumn Warmth combines spices & essential oils derived from rosewood & cedarwood to create this masculine fragrance. Beard Wash Ingredients: Aqua, Cetearyl alcohol, Olea europaea, Cetrimonium chloride, Helianthus annuus seed oil, Tritium vulgare oil, Aloe barbadensis powder, Camelia sinensis extract, Faex. Beard Conditioner Ingredients: Aqua, Cetearyl alcohol, Olea europaea, Cetrimonium chloride, Helianthus annuus seed oil, Tritium vulgare oil, Aloe barbadensis powder, Camelia sinensis extract, Faex.